With over 5 years of comprehensive research and data that we have gathered from our work with clients, Terafina has developed a unique multi-faceted approach that knows when and how often to intercede in the sales process and drive high quality leads that radically enhance customer engagement. Our targeted approach from the start has been to underpin a modern digital account opening solution with a comprehensive sales platform. This differentiated approach allows us to drive significantly higher conversion of digital leads into opened accounts by bringing other channels (call center and branch) into the conversion process. 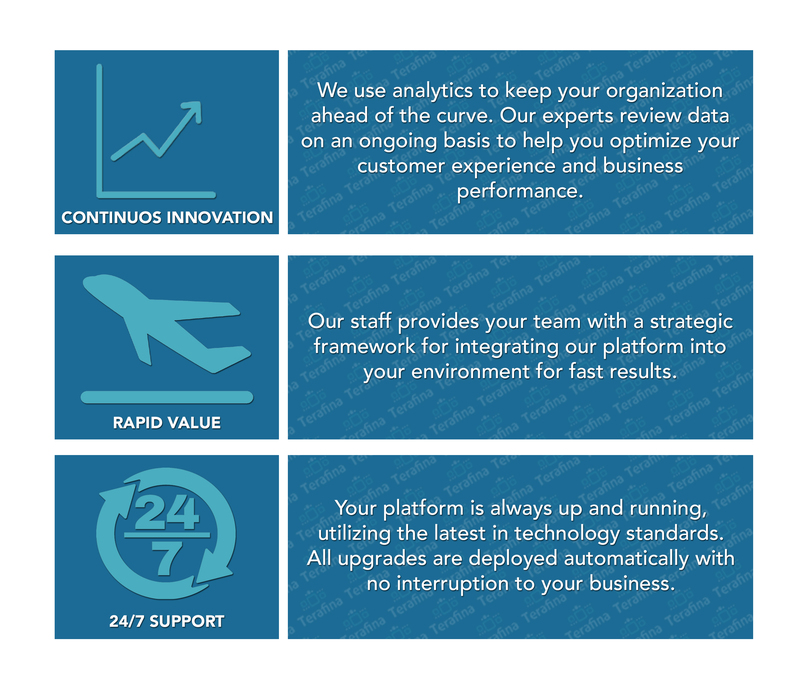 Our approach is centered on three main pillars: continuous innovation, building rapid value and 24/7 support. Terafina’s customers have realized huge increases in revenue and profit and greatly improved cross-sell opportunities. Greg Mitchell, CEO of First Tech Federal Credit Union explains the innovative ways Terafina has helped accelerate First Tech’s growth in a very short period of time.